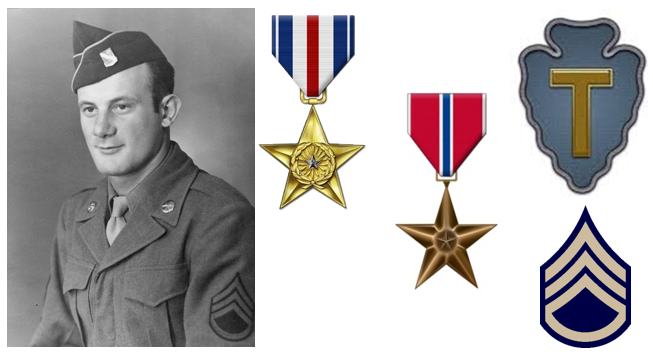 Louis Ciccotti, born in Rome, New York, was inducted into the Army on May 28, 1942. 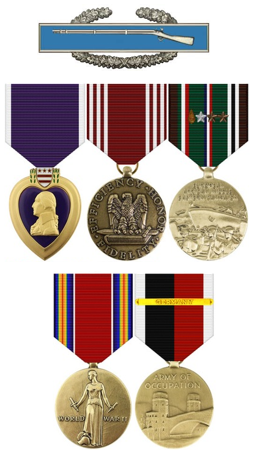 He served overseas in Europe from April 1943 to September 1945 seeing action in the Mediterranean, participating in the Invasion of Southern France and further action in Europe. His son, Russell, received his father’s overdue awards.